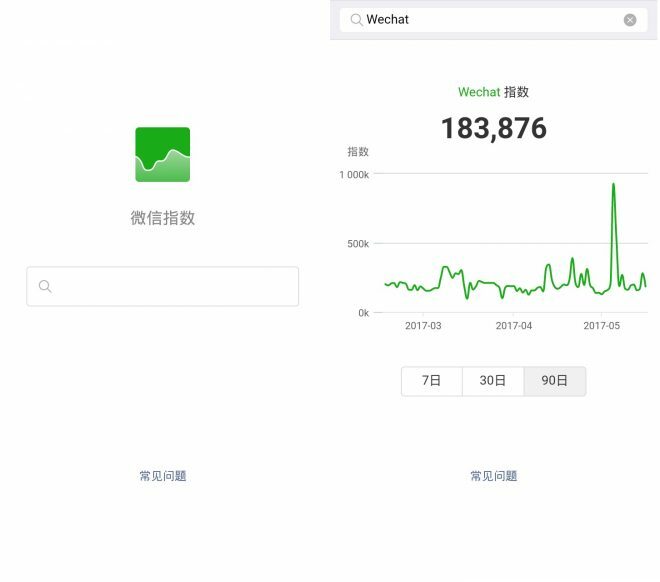 Apart from brands having their own official WeChat accounts (which provides them with direct feedback from their consumers), the application has recently released a new feature called “WeChat Index” (微信指数) – to access this tool, simply type the previous Chinese keywords in the WeChat search bar. WeChat Index is a trend projector showing the popularity of a brand upon searching the relevant keywords on the tool. The tool enables the brand to identify and understand their performance, once entering the keyword on to the tool the number of times the keyword mentioned in any of the articles within the app for the last 7, 30 or 90 days hits the screen in a trend graph. The service is based out to be on big data analysis and mobile indexing, where it understands user behaviour patterns and other data aspects and characteristics to project the brand’s popularity and performance among the 898 million WeChat users in turn helping the brand to build and evolve with real time feedback from its consumers. With WeChat Index as a listening tool, the app also had various ways of marketing for brand such as content promotion through articles on product reviews and information, advertising via moments and account ads. Linking the brand’s online website portal to their official account along with strategic partnership emphasizing the use of WeChat wallet are other ways of marketing on WeChat. WeChat is much more just another instant messaging app, it has replaced the wallet for users in China. With the recent report by Tencent projecting 93% adoption rate to using WeChat Pay (in cities) majority of them reasoning it as to not carrying cash at the time of purchase. Addressing the change in consumer behaviour, WeChat enables their users to book hotels and restaurants, buy movie tickets and handle all viable transactions through the app. A clear shift or transition towards a cashless society is being welcomed by the country.